We hate to break it to you, but there’s yet another sigh-inducing dating trend you need to hear about. Just in time for Halloween, the latest dating trend we’ve heard of is called “haunting.” Like “ghosting,” it involves the disappearing of one party from a relationship. We know, navigating relationships is impossible enough as it is. Why do we need an entire dictionary’s worth of ways to break up with somebody? Sigh. So what is “haunting”? 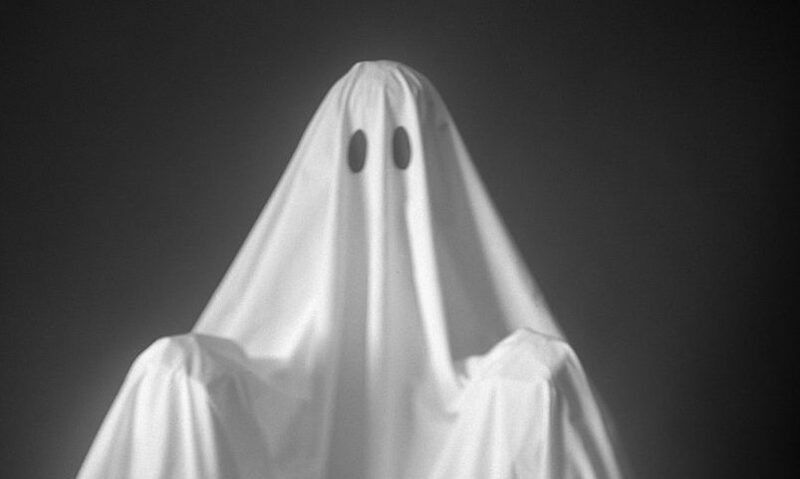 According to a writer at Cosmo, haunting can be extremely confusing, because you’re constantly reminded of this person’s existence and the relationship you may or may have not had. "These little reminders can be incredibly disorienting — why do these dead relationships linger? If communication is cut off everywhere else, why swirl around in your digital sphere?" Unfortunately, past flings live on in more ways than just haunting. First, there was breadcrumbing, the practice of leaving a flirty emoji here and a cute text there, without ever engaging in a committed relationship. Then, “benching” came along, when a relationship exists mainly in text form. But whenever you try to actually go on a date this person, they conveniently have an excuse. Then we heard about “stashing,” when someone dates you but you never get to meet their friends or family, or appear on their social media feeds. Or how about zombie-ing? When somebody ghosts you, and then texts you from the grave some time later? All we know is, it’s a crazy dating world out there — good luck.